NHS attracts over 2,800 exhibitors from the lawn & garden, hardware and DIY sectors. 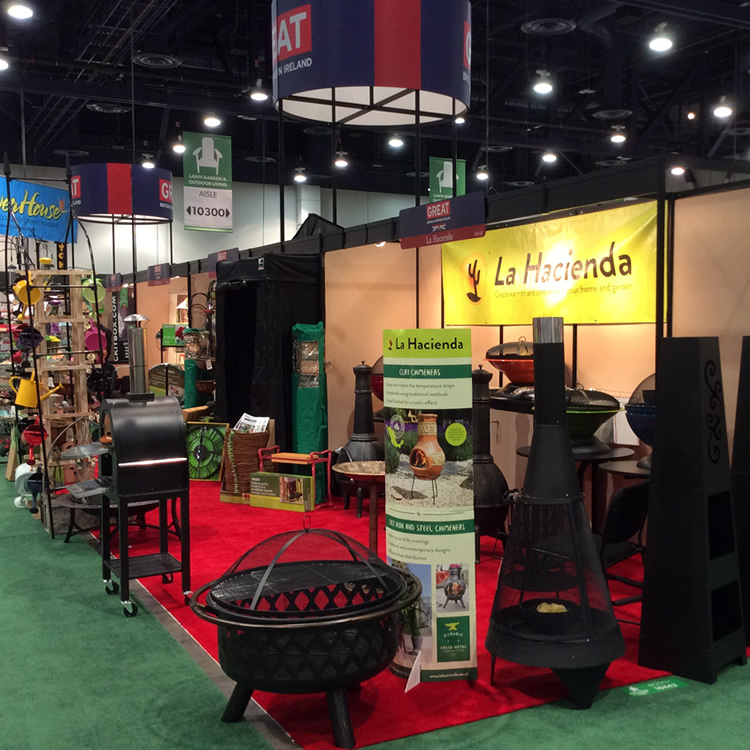 Lawn & garden is the largest product section. It features the whole spectrum of garden hardware including practical tools and accessories, seeds, plant care, watering equipment, greenhouses, fertilisers and chemicals, pest control, pots and planters, barbecues and garden furniture, decoration and lighting, landscaping and much more. NHS attracts over 20,000 industry professionals from the leading home centre, DIY and garden centre chains, hardware and garden buying cooperations, country stores, mail-order and on-line businesses, and home-shopping channels. 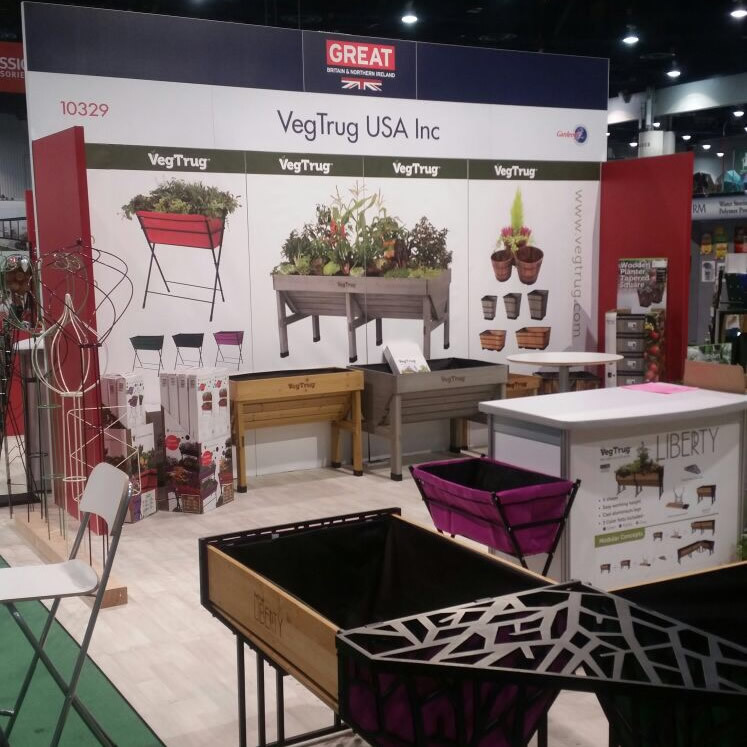 Buyers attend from US garden centre chains such as Armstrong/Pikes, English Gardens and Petitti, the leading home centre chains Home Depot, Lowe’s and Menards, and the buying cooperations such as Ace Hardware, Master Nursery and True Value. Key US online retailer buyers also visit, including Amazon, Balsam Hill, Williams-Sonoma and Wayfair, along with the QVC shopping channel. International attendance includes the leading Canadian chains Canadian Tire, Peavey, Lee Valley Tools and Home Hardware, as well as Bunnings from Australia. The show also attracts many important wholesalers/distributors that service the North American and other international markets. For more information about the show, please contact Theresa Swann or Charlie Parker at Gardenex by email or on 01959 565995 and take a look at the National Hardware Show website. 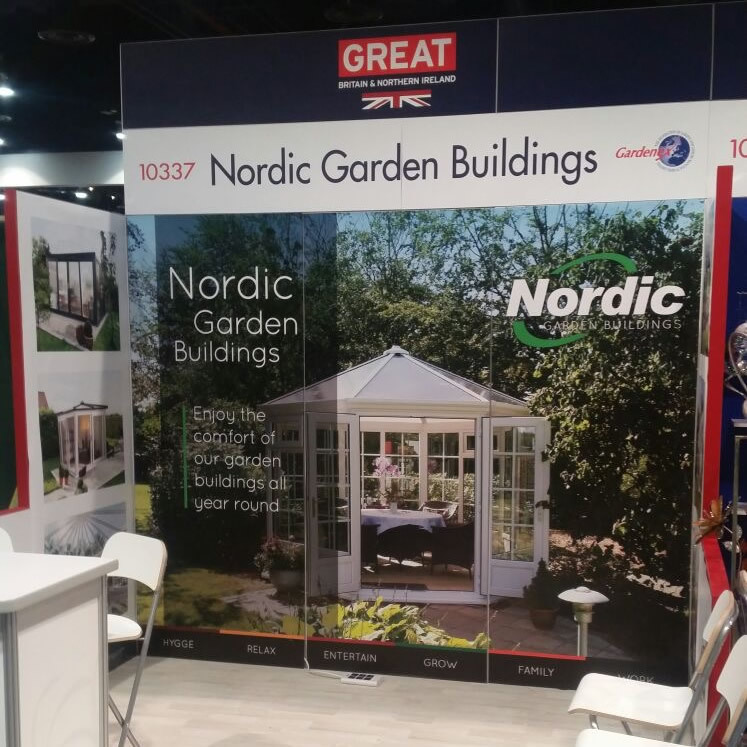 To reserve a booth on the Gardenex British pavilion at NHS 2019, please complete and submit the online stand booking application form. 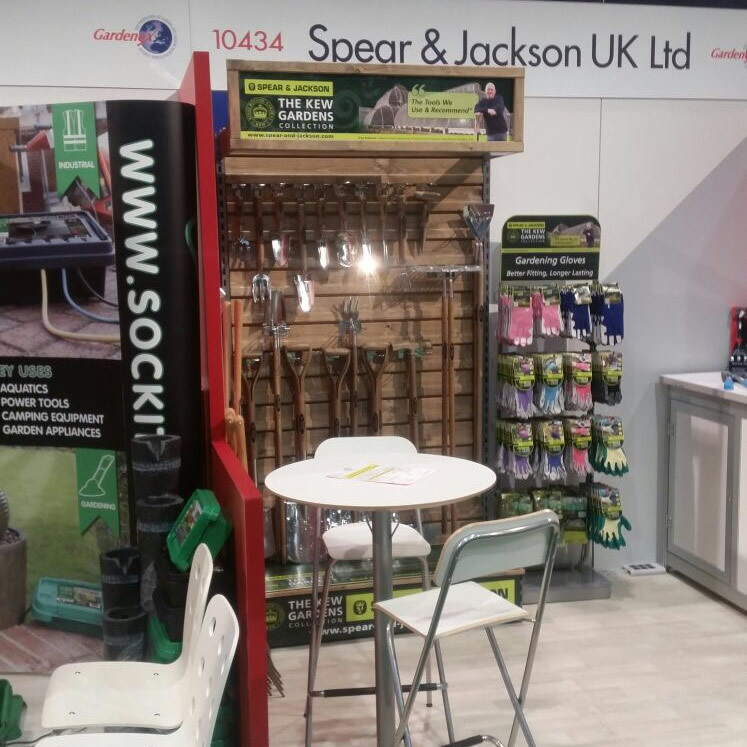 Excellent support from Gardenex, and good contacts made at the show which will lead to business development and sales orders. A prime spot in lawn, garden and outdoor living + saving on floor space cost to $35.35 / $34.05 per ft² (roughly £28 / £27 at current rate) subject to booth size. Booths are bookable in 10ftx10ft (3mx3m), 20ftx10ft (6mx3m) or in increments of 10ft. Each corner is charged at around $700 (£552). See the Cost Factors tab for more information. 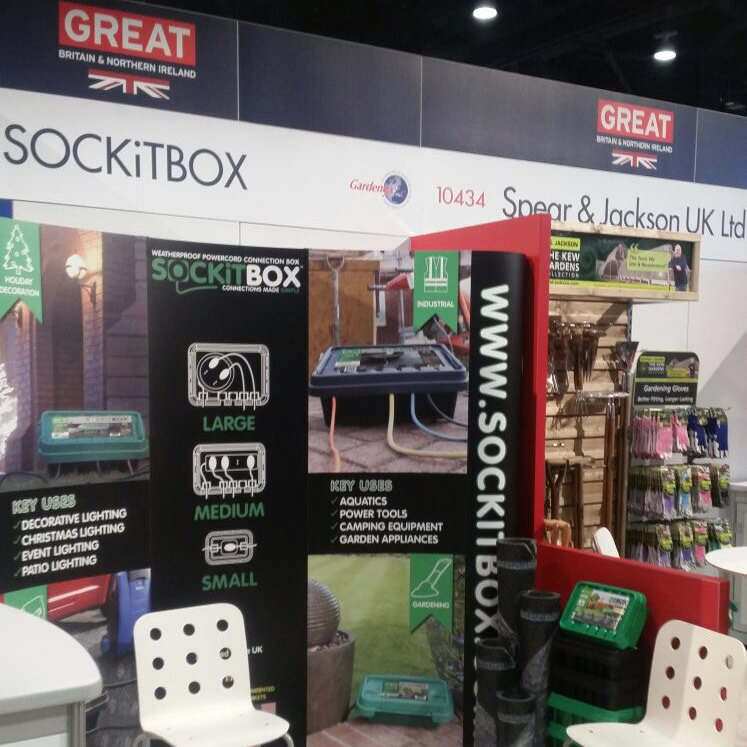 A comprehensive British-themed pavilion and booth package designed so that you can just turn up and display your products. The package includes walls (low walls between booths to allow a more open feel), carpet, lighting and electrical connection for lights, fascia with name, table, chairs, counter and initial booth cleaning, for around £28 per ft² (based on exchange rate of £1 = $1.27). Advice and information about how to prepare for, and maximise your presence, at the show. 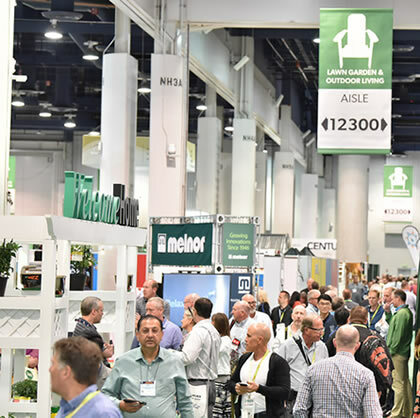 Gardenex has a wealth of information on the US garden market. Help with freight, travel & accommodation and other logistical arrangements from Gardenex’s dedicated events team. A schedule of press releases before, during and after the show, to publicise the goods and services of the British exhibitor group participants. A preview sent to named buyers in advance of the show to generate publicity and encourage buyers to visit the British pavilion. The support at the show of an industry information booth, organised by Gardenex and manned by its experienced team. Brilliant - looked modern, bright and inviting. The flooring was genius and certainly saved the feet from stress. The cost for space, quoted by the show organisers, is approx. $42 (around £33) per ft². Each corner costs $700 (approx. £552). 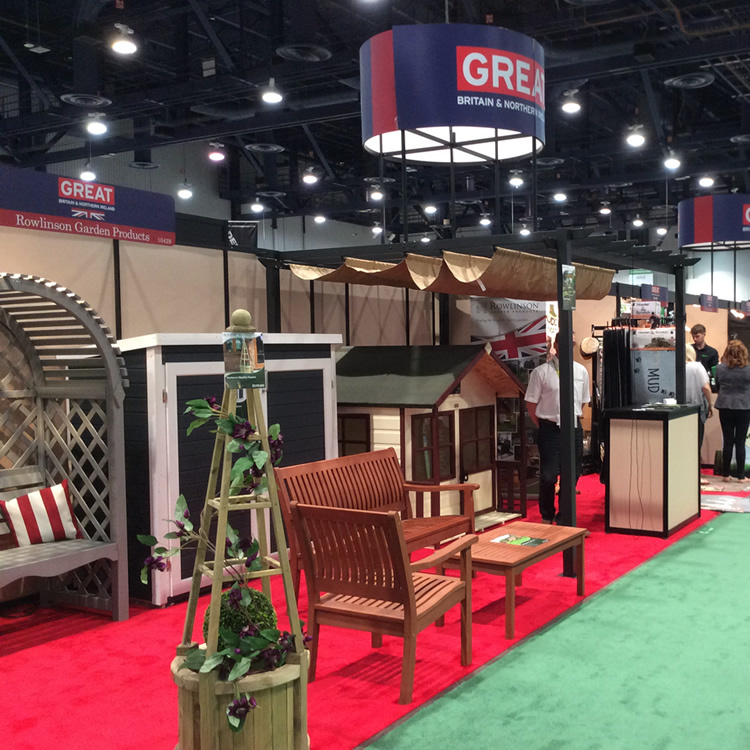 Gardenex has negotiated a reduction to $35.35 (around £28) per ft² for pavilion exhibitors. 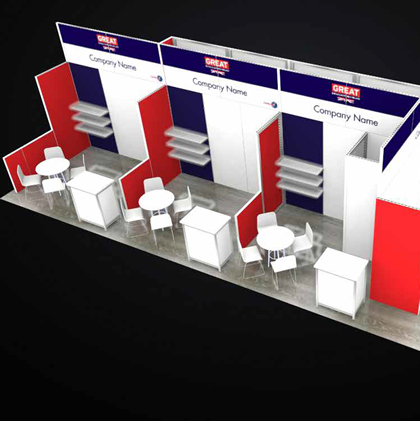 Options for the booth package are being assessed but the cost is expected to be £28 per ft², making the combined space/booth cost around £56 per ft². Back Friday 10 May Advice will be circulated to exhibitors. Rough cost shown for ‘holiday’ package via Expedia with economy direct flights at a hotel in the centre of The Strip; monorail or taxi from the exhibition centre. If flight only, avoid Sunday outbound; this can increase flight costs significantly! + On site contractors impose approx $63 charge / cwt (min 200lb) to handle freight from receiving warehouse etc Consider ways of minimising display to save weight and volume. Take graphics with just a few product samples, avoid heavy brochures, send a one way consignment. It is normal for exhibitors to either sell off their display to a potential customer or donate to the show’s dedicated charity. Details of the suggested specialist exhibition freight forwarder and more information on the material handling will be sent to exhibitors. new products display Costs start from around $950 The organisers include basic show directory / website entries for exhibitors in space cost but enhancements are offered which can significantly increase exposure. Options will be circulated to exhibitors. 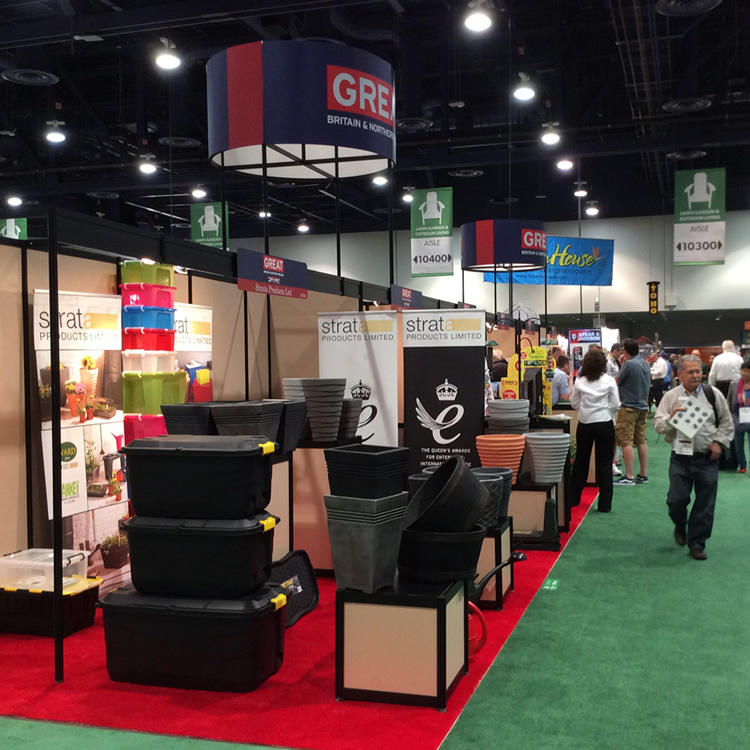 Additional display equipment Subject to needs and budgets The Gardenex booth package is comprehensive so there should be limited need for extras. All costs based on an exchange rate of £1 = $1.27 which may alter and impact either way. All costs must be paid upfront whereas if grants are confirmed, they will be paid retrospectively, provided terms are complied with. Companies wishing to exhibit independently of the British pavilion are permitted to apply for funding. 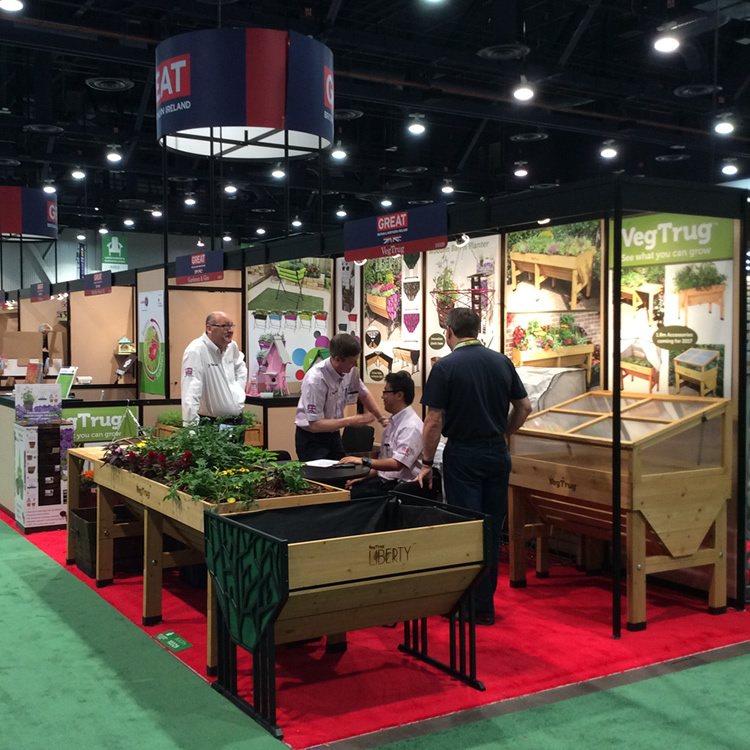 If you select the Gardenex booth package when booking, final details and costs will be notified and invoiced by Gardenex for payment before the show. Gardenex has again been successful in our application to the Department for International Trade for funding under the Tradeshow Access Programme. 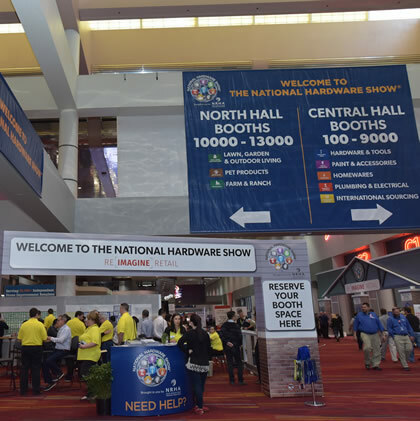 Grants of £2,000 are available for eligible UK SMEs exhibiting at the National Hardware Show, Las Vegas. Please contact Theresa Swann, Head of Events & Administration, at Gardenex by email or on 01959 565995 if you would like to discuss your potential eligibility for funding. Complete the online Exhibitor Booth Booking Application form below. We will then invoice you for the Gardenex exhibitor support package fee which must be paid before we can process your application further. Ultimately you will need to submit an organiser’s space application which will be sent in due course. On behalf of the business named above, I confirm that the information on this application form is true and accurate. I have also read and will comply with the Gardenex terms & conditions and accept that if the business named above is indebted to Gardenex when any grant payment is due, Gardenex will deduct any debt before paying. I understand that this commitment is being made regardless of any DIT funding which will be dealt with completely separately should it be confirmed. This form must be completed by a director, company secretary or owner of the business applying. Please return this form by the cut off date. Your application will be acknowledged and an invoice for the non-refundable Gardenex exhibitor fee support package fee issued. Your application is only secured once payment of the fee has been received. Credit cards are accepted via telephone.